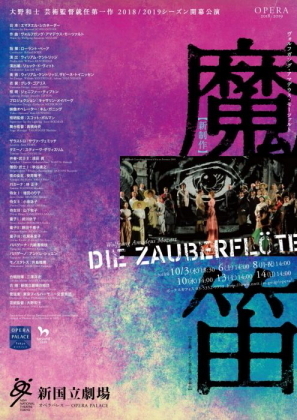 Mozart　"Die Zauberflöte (The Magic Flute)"
Thehe first season under our new Artistic Director of Opera, ONO Kazushi, kicksoff with a new production of Mozart's much-loved masterpiece Die Zauberflöte.The work is full of familiar tunes including the dazzling, stratospheric ariaof the Queen of the Night, Papageno's jolly Bird-Catcher's aria and the tuneful"Pa-pa-pa-pageno" duet. 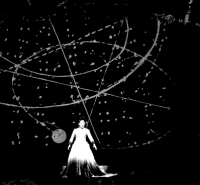 Asthe opening production of the season, the New National Theatre, Tokyo presentsSouth African visual artist William KENTRIDGE's celebrated staging which hasenjoyed a huge success around the world including performances at La Monnaie,La Scala and the Aix-en-Provence Festival. Roland BÖER who conducted KENTRIDGE'sproduction at La Scala will take the baton, and the cast includes notableinternational singers, Mozartian tenor Steve Tamino, baritone Andrè Papagenoand Serbian bass Sava Sarastro alongside top-class Japanese singers.